Michelle has worked in the spa industry as a Licensed Esthetician and Licensed Massage Therapist for several years. She moved to Kingwood from Plano,TX where she spent 3 years working in the W Hotel at the Bliss Spa. Michelle has been trained by some of New York's best Technicians. Her specialties include waxing, facials, and airbrush tanning. She is super passionate about helping teens and adults overcome problem and acne skin. She has helped numerous clients end the cycle of needing medications to help with acne. If you stuggle with cystic acne or stubborn milia (white bumps that never go away), then Michelle is just the person to bring balance and clear skin back into your life. Michelle's waxing skills are exceptional. Brazillian waxing is by far one of Michelle's most requested services. Not only will she answer all your questions but she will make you feel 100% comfortable throughout your appointment. Another favorite for Michelle's Clients is the Airbrush Tanning. Airbrush Tanning appeals to a wide variety of clients for dance/cheer competitions, pre vacation, weddings, photo shoots, or just for fun. The products used are first class and never turn you an odd color or smell bad. The process is quick and simple. Michelle has the most experience in Airbrush Tanning in the Kingwood area. You won't be disappointed. If you have ever had a bad spa experience, then you owe it to yourself to book an appointment with Michelle! Jennifer T. - "I was a wax newbie when I came to see Michelle. The experience was very calming and I am now less afraid of the hot yellow stuff! She has a welcoming personality and I plan on seeing her for spray tanning as well." Yonaira S. - "Michelle did a spray tan for me. Quick, professional, and inexpensive! Will definitely return the next time I need a spray tan!" Caryn R. - "Michelle is always happy to see me, and I think she is highly skilled. I will continue to go to her!" Diane S. - "I went to Michelle for an exfoliation and peel. She did a great job and gave me good advice on skin care. I also enjoyed talking with her in general. Very relaxing experience!" Julie M. - "I brought my teen daughter to see Michelle, she did a great job on her brows,took her time,answered any questions we had and made my daughter feel special! We are considering going back and having my daughter recieve teen facials. I myself loce to go for her spray tans!!" kelli o. - "I love Michelle Green! Definitely book your next appointment here! " Sun C. - "Michelle completed an extraction for me during my appointment. Unlike other facials, she was so thorough with the facial and she genuinely cared about my facial well being! " Cindy L. - "Michelle Green gives a great massage! Left feeling wonderful." Marla M. - "I love Michelle Green! Definitely book your next appointment here! She was amazing with both of my daughters - great tips for lifelong skin health!! She saved us from expensive dermatologist visits!!! " c m. - "I love Michelle Green! Definitely book your next appointment here! My facial was awesome but I am definitely going back for her massages too because her massage during the facial was outstanding. " ashley c. - "I absolutely loved my facial. Michelle was extremely nice and very professional and friendly during the process! This was my first facial ever and I'm sure I'll be back for more!" Jeanine c. - "I love Michelle Green! Definitely book your next appointment here! This was a great facial and I can't wait for get another one!" Mandy L. - "If you need any waxing, facials, or massages this is the lady to see!!! She's great and I will be back to see her again and again and I will be sending in my family to get massages and other stuff as needed. Thanks Michelle!!" Audrey O. - "She is amazing at doing the teen facials! " Lauren L. - "Michelle is amazing! I've only had massages, facials and a spray tans done, but she exceeded my expectations each time! Join the spa membership - it's the best deal in kingwood! " Lisa C. - "Michelle is great! My skin felt fabulous after her facial. She is very knowlegeable about all aspects of skin care." Jennifer P. - "Michelle is awesome. I had a facial and I have sensitive skin. She used all natural stuff and my face felt wonderful afterwards. I'll book again and brings mom too." erin m. - "I love Michelle Green! Definitely book your next appointment here!" Brandy T. - "If you're looking for a little relaxation and tension removal ~ "magic fingers" Michelle Green is your girl! LoVe her and cannot wait to go back!!!!! :D"
Lisa O. - "Michelle does a great job at waxing! I'm extremely particular and she does a great job!!" Laura C. - "I love Michelle Green! She makes me feel very comfortable and does a brow wax that fits my face. She does many services but mine is mainly brow and leg waxing." Roxanne R. - "Don't waste your time looking for a great technician . Michelle is one of the best I have seen in all of Houston area. The best in our Kingwood area. I have worked in the spa industry for years so I speak from personal experience. She is fun too. Happy client"
Karen C. - "Michelle was my first experience with a bikini wax and she was fantastic!! She made me feel very comfortable and I was very happy with the results. I have been back several times and Michelle is the only person I trust for my waxing needs and would highly recommend her." Iris A. - "Michelle is AMAZING!!! I go see her every month and look forward to the appointment and the chit chat. She makes a Brazilian Wax pain free." Alyssa M. - "Such relaxing and enjoyable massage! Loved it!" javi g. - "Michelle should have been named Houdini because she has magic hands." Daniel R. - "Michelle was absolutely amazing during my spa visit. I never imagined my first massage to be as relaxed and amazing as what it was. She has a true gift and I would recommend anyone to Michelle for a spa date!! " Christina R. - "I love Michelle Green! She gives you a wealth of information for skin care and I was very amazed with her attention to detail. I am very picky and Michelle exceeded my expectations. Thanks Michelle. Definitely book your next appointment here!" Theresa D. - "I love Michelle Green! Definitely book your next appointment here! I have joined the spa so that I will be able to have at least one massage a month, possibly more, as they are fabulous. The best massage in Kingwood. Do yourself a favor and book one." Sylvia M. - "Michelle makes you feel so comftable with her warm smile and happy disposition. I went to her for air brush tanning. She does a wonderful job and is very professional and not one bit intimidating. I love you Michelle"
Lacie L. - "I love Michelle Green! Definitely book your next appointment here! my spray tan turned out perfectly. it wasn't orange at all. she was really nice and comfortable too. i will be going back!" Annette E. - "I think Michelle Green is a wonderful person -- I was trying to find a person to do my waxes since I was not pleased with the Skin Occassions's (Kingwood) new staff -- anyway, Michelle made me feel comfortable. I have also had her Signature Facial and she is absolutely amazing...everything is wonderful there so far!" Stacey E. - "I've been going to Michelle each month through the "membership" package and I absolutely adore her. She's professional but friendly and I always feel comfortable. Here massages are the best with the right amount of pressure. " Jean k. - "Best massage ever!" Susan W. - "As I was a first time customer for Michelle, she helped ease my concerns for the services that she was doing and made it comfortable. I will be returning!!!!" 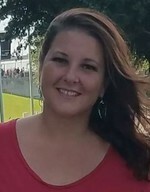 Jennifer L. - "Michelle is AMAZING!!! No matter what service you select she will make sure you're comfortable and very happy with the results. Some people are truly gifted at their professions and clearly are the best of the best - Michelle is definitely one of them! " K C. - "I received my first facial from Michelle. She was great at explaining what to expect and what I needed to do to get the best benefits from the facial. She is extremely friendly and I would definately recommend her services." Nicole A. - "For a first time message the experience was great. Very melodic and calming atmosphere that set the tone for a good message. I did not know what to expect because I have never gotten a message before, but I do have to say that every pressure point was messaged thoroughly. The tense pressured areas were relaxed the day after the session and I slept like a baby. I would highly recomment Bella Madame. I also received other pricing options for other products as well that I will soon be enjoying, great prices for everything especially the membership package. " Krystal G. - "Michelle was very professional. She met my needs to work around scheduling conflicts. I went in for a brazilian wax and was a little nervous going somewhere new, but Michelle answered all my questions and treated me with respect. Highly recommended! " Laura R. - "I walked into Michelle's office feeling tired, sore, and dingy... I walked out feeling like a million bucks. I highly recommend her services. Two thumbs up! " Sharon P. - "I was lucky enough to be have a session with Michelle. Awesome results and I can't wait to go back!" Linda H. - "I love Michelle Green! Definitely book your next appointment here!" Samantha L. - "Michelle is great! Not only are her massages amazing, but she has a great personality and is awesome to talk to. I recommend her to anyone who is hurting!" Rhonda S. - "Thanks so much for the GREAT massage and WONDERFUL facial this week Michelle, it sure has made a difference in how I feel. Next time I won't wait a month to come back! " Lesley E. - "A little bit of heaven @ man's hand. Michelle has excellent massage technique and a special secret to enhance your massage experience! You have to experience it for yourself! I will be back." Danielle C. - "I recently had a full body massage and foot scrub with Michelle Green and it was wonderful. Michelle was very professional and really know hows to give a great massage. I would recommend setting up an appointment with her. " Alyssa D. - "Michelle was amazing. I came to her in dire need of a facial and she worked her magic! I was in the middle of studying for final exams; I was so stressed out and Michelle totally relaxed me. She made my face feel so refreshed and awake. It helped a lot! Plus she is so easy to talk too and listens to what you want! I will be back for more!!!" Blanca B. - "First, I will say; I love massages! Michelles's massage was absolutely amazing. It made me feel so relaxed and the area I asked her to work on felt so much better when I left. I live in Houston, however, I will continue to drive to Kingwood to get my massages from her. Blanca"
deonna t. - "Michelle is awesome! She made me feel comfortable, she was very professional, and most be of all, she knows what she is doing. I will definitely return for more of her services." Trudie F. - "Michelle's got a very warm, friendly personality and she will go the extra mile for her customers' needs. I've had her swedish massage two times now and will be back for more! "